The Capital Wine School is excited to bring the WSET Level 1 course to Norfolk, Virginia! 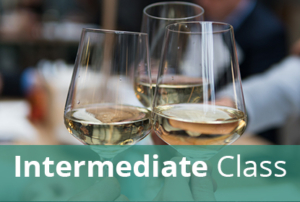 Please join sommelier and owner of the Crystal Palate Wine & Gourmet, Crystal Cameron-Schaad, who will teach this introductory WSET course. Space is limited, so be sure to register early. **Please note that the cost of lunch is not included in this class. THERE ARE NO REFUNDS OR RESCHEDULING AFTER March 28, 2019.